I very rarely post new images from upcoming movies – I mean, there is an endless supply and it gets really boring – but one of the new images from Relativity Media’s upcoming Immortals features the future “Man of Steel” Henry Cavill. The first image is of Cavill as Theseus, the future king of Athens. 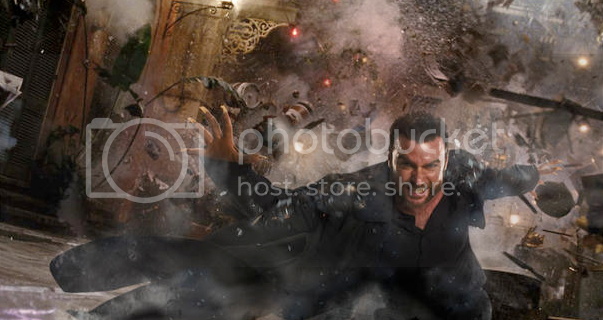 The second image features Ironman 2 and The Wrestler‘s Mickey Rourke as King Hyperion. The fantasy epic was directed by Tarsem Singh, who helmed The Cell and will be taking on The Brothers Grimm: Snow White next year. It also stars John Hurt, Kellan Lutz, Stephen Dorff, and Freida Pinto. It hits theaters on November 11th, 2011. Yahoo Movies have gotten their hands on a couple new still images from the upcoming X-Men spinnoff, X-Men Origins: Wolverine. Click the above image to check them out!